I think few would agree that it is a bargain to buy £4 worth of stamps for £13.50 just in order to have a few fancy labels attached to them and an attractive background design to the sheet. Those sponsored by leading FDC producers and sold at twice this price are scandalous, especially when sold by Royal Mail itself and I personally have never purchased either type and do not intend to. This is a pity really, because if a subject warrants a commemorative sheet, then one can suppose it would warrant an actual stamp issue (the 800th anniversary of Cambridge University, for example). Instead of issuing 10 boring, colourless and repetitive designs on Winnie the Pooh (to name just one) or a third stamp in honour of Fleming and penicillin, couldn't RM limit the numbers of stamps in such sets and issue the odd single stamp for anniversaries or causes of this kind? Other countries, France is one, manages to issue single stamps or sets of two for a much greater number of subjects in the year, not a set of 6 - 10 stamps on a given subject every month of the year. This means that a lot more worthy causes are covered and more stamps are actually used for the purpose for which they were intended. Generic sheets cost less than a pound over the face value which to my mind is the absolute limit of decency in this respect. But, let's face it, just what purpose is a generic sheet supposed to serve? How many people will actually break them up to use on thier mail, especially as the stamps are already at a premium? Stop all these unnecessary sheets sold way over gface value and the whole stamp business may gain in credibility. Commemorative sheets are a total rip-off, there is no reason for them to be any dearer than a generic Smilers sheet. According to Royal Mail about 3 years ago, the economical price for a new issue was around £3.50. I can understand the business economics of dealing with many more single-stamp issues such as are issued by France. Although the USA appears to have many single-stamp (or blocks-of-four) issues, quite a proportion of these are only available in complete panes of 20. This is partly because their self-ahdsives have interlocking die-cut 'perforations', so all is not roses for the US collector either! My local sub-PO doesn't receive all commemorative sheets but did get the Grand Prix issue. I suggested in the absence of any publicity cards that a sheet (in cover) should be stuck to the counter screen. All has been quiet, but when I went to post today's mail the two people before me both bought the Grand Prix sheet! The USPS offers nearly all stamps in half-panes of 10 or blocks of 4/strips of 5 by mail order and on their web site. Clerks in post offices probably prefer not to split a pane, but I do not know if they are prohibited from doing so. I agree with Anonymous above. Back around 1970, the British Post Office issued a set of four stamps called Anniversaries, with each stamp having a different subject. It would not be a bad idea to return to that practice. I suggest a return to a 'General Anniversaries' set at our Trade Briefing 3/4 years ago. I believe the 2009 Eminent Britons was issued along these line. Before that a list of suggested stamp topics was issued for comment (as it is every year) and several of these were listed, but as individual or group issues (eg Sport, Science). I hope there will be more General Anniversaries along these lines. 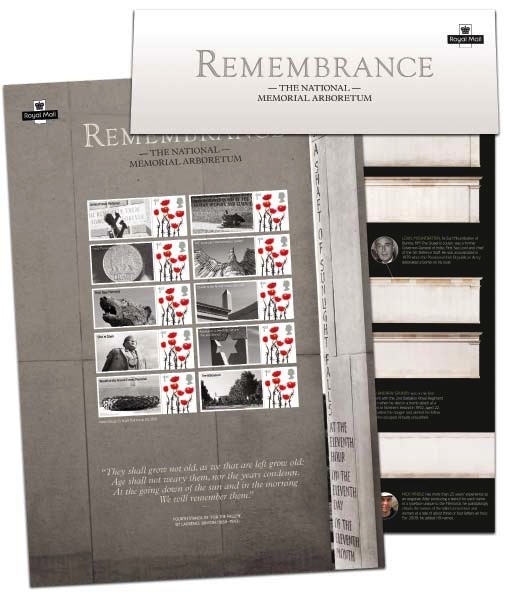 I don't buy commemorative (or generic/smiler) sheets at all as a stamp user - I send a lot of post and want to use "nice" stamp (and why pay more..?). What I am annoyed at this year is that there is no make-up value stamp to add on to a nice first class stamp for Europe and Worldwide postage. Well, Mia, we've never had special stamps in make-up rates. I have the same problem, especially when there have been so many 1st class stamps recently, and that applied to heavier inland items as well. Even 2nd class stamps are scarce, but I have reason to believe that in the long-standing policy may change in the not too distant future. GB sheets remain popular with collectors and address a wide variety of themes. Royal Mail will soon be sold and the future of stamps, let alone generic/smilers sheets will be uncertain to say the least. Buy while they are still being produced! I refer you to the first comment. Many collectors of generic smilers sheets, priced at a small % over face, refuse to buy Commemorative sheets at 229% over face. They are not popular with collectors of stamps or smailers sheets, but may well be bought by collectors of, for example, motoring memorabilia (Grand Prix). Great web site! No, I do not purchase commemorative or smiler sheets (unless the sheet contains a stamp version that differs from the general issue). I see these items as exploitive and poor investments. With e-mails supplanting most of the general mail, the need for so many issues is nil. The Royal Mail should consider eliminating these superflous issues, as they are a detriment to collecting. I collected GB for over 50 years - but no longer. Too many silly themes, too many stamps, too expensive, too many gimmicks such as generic sheets. Sad, really. When I rang the Philatelic Bureau to cancel my standing order, the man I spoke to said, with feeling, that I was by no means alone in this. Says it all, really. Royal Mail seem to be selective about what stamps are sent to what Post Offices. Our local PO didn't even know about the various Welsh stamps/sheets and I was unable to get any. When I went down to Carmarthen they had none left, but according to the lady, they only had a few anyway. I think Wales should have its own stamps - not just the token four (ditto for Scotland and NI) - we missed out on various important anniversaries or events recently. As for those special sheets - well it's just a way of generating income - no real value at all.